Use with cloth or disposable nappies to flush away mess with ease, while keeping baby dry. Makes using cloth nappies much easier. These liners can even double as disposable wet-wipes, without any complex ingredients! 200 total. GMO free. 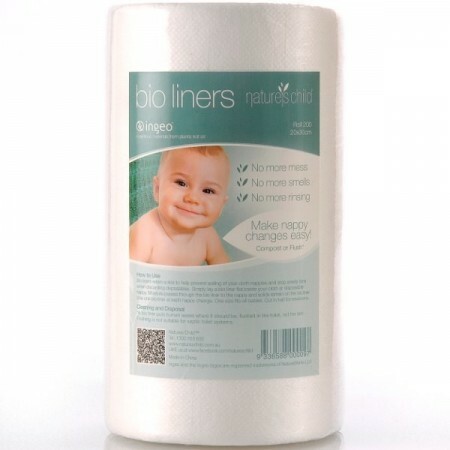 Nature's Child Bioliners are under redesign and our supplier does not have a confirmed ETA at this time. Please be sure to enter your email address to receive a notification once they are available to order. 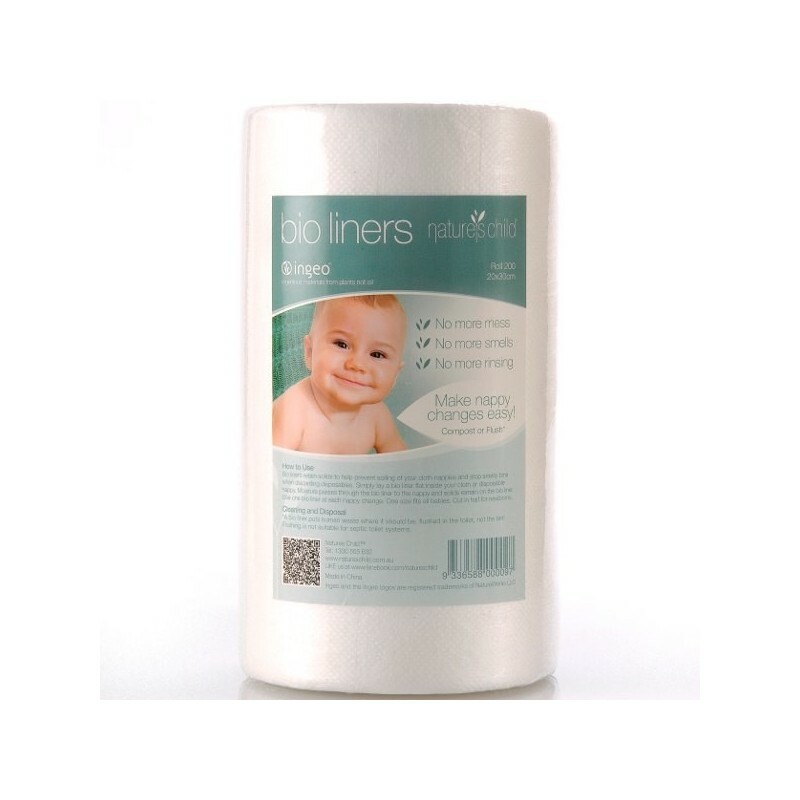 Bio-liners are biodegradable so they can be flushed* or composted safely, keeping your nappy bucket or bin waste free. If you are using standard disposables, these liners enable you to dispose of sewage responsibly by throwing poo in the loo rather than in the bin, which is a health hazard. Acts as a stay-dry liner. Moisture goes one way only and helps to keeps baby's bottom dry. No more mess, smells or rinsing. One size fits all babies. Add water. As a guideline, use 15mls for 3 sheets but this can be adapted depending on how wet or dry you like them. Just experiment and if its too wet, then add another dry wipe to soak up the excess. Browse our other Eco Baby products. *Flushing is not suitable for septic toilet systems. Please note: Bioliners will come in a roll slightly different to that pictured. The packaging of this product does contain some plastic. Love these liners but SO EXPENSIVE! The expensive comment applies to all nappy liners - why are they so expensive? It appears to be the same across the range. But yes, these are really soft and lovely and my bub loves them. You kind of have to use them if you're doing cloth nappies! Ever had to do a nappy change and there's no bin? Rather than putting a stinky nappy back into your bag, flush the waste away! If these have only been weed on, chuck them in the washing machine with your nappy load - they will last 3 -4 washes in the machine before wearing out. You get more bang for your buck and are just a bit gentler to the world's resources. Makes changing a poo nappy so easy - just pick it up and flush it away. We still have a nappy sprayer on the toilet to get any poo that missed the liner, but clean up is a breeze. These also keep baby's bum drier which helps with sensitive skin.